If you’ve been having trouble finding your way around after taking too many pulls from the Porsche Design bong we told you about, the high-end accessory brand’s newest addition to their line should help with that. The Porsche Design P&apos;6520 Compass Watch takes after its 1978 predecessor designed by Professor Ferdinand Alexander Porsche, but with more up-to-date features and a new face-lift. 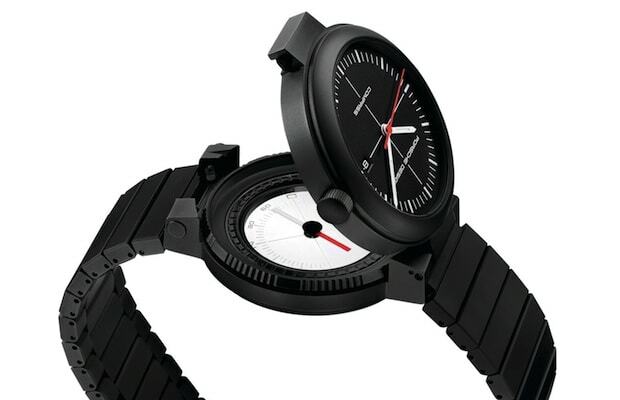 For the newer Compass Watch, Porsche Design replaced the aluminium with lighter and non-corrosive titanium, added some PVD (Physical Vapour Deposition) coating and made it water resistant up to 50 meters. The face has also been updated for the times with white luminescent material and is now three millimeters larger than the OG. The watch is limited with only 911 going into production.